Jennie B Richmond Chaffee Nursing Home Co., Inc. is a medium-sized nursing home facility in Springville, New York (Erie county). The Nursing Home Site profile for Jennie B Richmond Chaffee Nursing Home Co., Inc. includes: Pricing, Visiting / Business Hours, Resident Health and Wellness, Ratings, Activities, Comparisons, Directions, Surveys, and CMS Reviews. They have 80 beds and 67 residents (which would leave 13 beds available). Jennie B Richmond Chaffee Nursing Home Co., Inc. participates in Medicare and Medicaid and are classified as a Non profit - Corporation ownership. They offer residential councils. They are not located inside a hospital. They do not belong to a continuing care community. Jennie B Richmond Chaffee Nursing Home Co., Inc. received an overall rating from CMS of 1 stars compared to the NY average of 3.41 and a National average of 3.31. Ratings from residents, family members, and visitors to our site are available below. We encourage you to leave one of your own if you are familiar with their services. We also recommend giving them a call to address any additional senior and nursing care questions you may have after reviewing their Nursing Home Site profile. Jennie B Richmond Chaffee Nursing Home Co., Inc.? They are located at the following address: 222 East Main Street in Springville New York 14141. They can be reached by phone at (716) 592-2871. The average length of stay at Jennie B Richmond Chaffee Nursing Home Co., Inc. is approximately 28.7 days. (this may include both short and long-term care (LTC) visits). According to our latest records from CMS, the average daily amount billed by Jennie B Richmond Chaffee Nursing Home Co., Inc. to Medicare is $647.09 per day (compared to a New York average of $694.45) and Medicare reimbursed them an average of $446.97 per day (after any deductible and coinsurance). Please note that the pricing above is the average billed to Medicare. Each person and case is unique. (Supplemental Insurance / Medicare Advantage Plans, single or double rooms, etc). If you are interested in this facility you should contact Jennie B Richmond Chaffee Nursing Home Co., Inc. directly for exact pricing and what options are available for you or your loved one's personal care needs. The average age at Jennie B Richmond Chaffee Nursing Home Co., Inc. is approximately 80 years old. The last time this data was collected they cared for at least 28 men and 36 women in a one year period that received Medicare benefits. This number fluctuates with each new resident. Medicare and Medicaid participation for Jennie B Richmond Chaffee Nursing Home Co., Inc. (previously: Jennie B Richmond Chaffee Nursing Home Company Inc) began on Feb 01, 1975. Additional Staffing can be viewed below. Each number represents a Full-time Equivalent (FTE) Employee of the type listed above it at Jennie B Richmond Chaffee Nursing Home Co., Inc.. Read how FTE is defined. Jennie B Richmond Chaffee Nursing Home Co., Inc. in SPRINGVILLE, New York has 80 beds compared to the New York average of 185.40 and a National average of 106.16. As of the last update they had 67 residents compared to the NY average of 158.78 and a National average of 86.4. This results in a 83.75% occupancy rate compared to the New York average of 85.64% and a national average of 81.38%. 1 stars compared to the NY average of 4.37 and a National average of 3.95. Averaging the available ratings gives an aggregate star rating of 2.2 for Jennie B Richmond Chaffee Nursing Home Co., Inc. versus the NY average of 3.21 and a national average of 3.20. 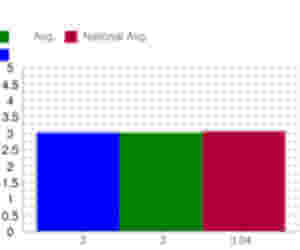 Visual / Graphical Comparisons for Jennie B Richmond Chaffee Nursing Home Co., Inc. Hospitals near Jennie B Richmond Chaffee Nursing Home Co., Inc. Compare Jennie B Richmond Chaffee Nursing Home Co., Inc. 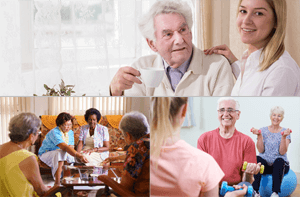 Learn more about Jennie B Richmond Chaffee Nursing Home Co., Inc.
Find our profile for Jennie B Richmond Chaffee Nursing Home Co., Inc.? Consider sharing it!